ATLANTA, GA — APRIL 5, 2018 — Brightlink, the premier IP communications provider delivering carrier-grade voice, messaging and application-based services, announces today that it is a return key sponsor for “Over the Edge,” an annual event held to support Special Olympics Georgia where 86 participants have the exclusive opportunity to raise money to rappel over the edge of Overlook III, a 22-story building that also serves as the location of Brightlink’s headquarters. As part of Brightlink’s engagement in the Atlanta community, the company’s sponsorship will contribute to the event that benefits year-round training training and competition for more than 27, 115 Special Olympics Georgia athletes. 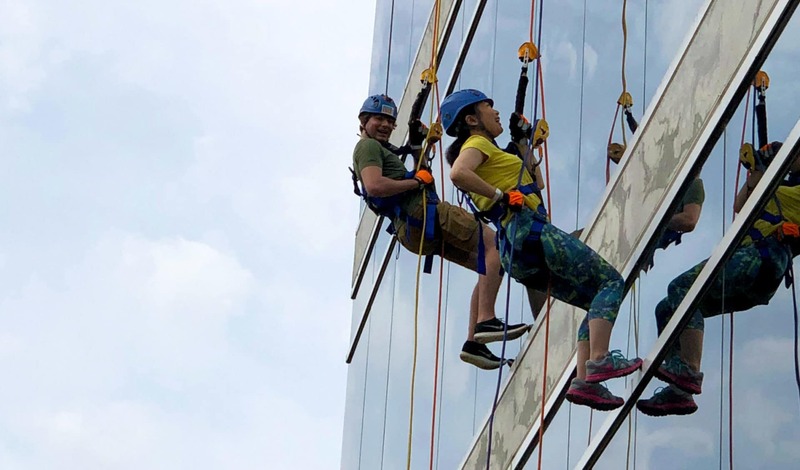 The Over the Edge 2018 event will take place on Saturday, May 5 at Overlook III 2859 Paces Ferry Road, SE Atlanta. For those interested in participating or sponsoring, visit the Event Registration page for more information. In addition, interested parties can also support Special Olympics Georgia by donating online here. All monetary contributions are tax-deductible. Brightlink is a leading communications platform and technology company that delivers voice, messaging, analytics and cloud-based solutions. Our industry-leading CPaaS platform, technology solutions, and network services are used by companies ranging from small to mid-sized businesses to the largest enterprises and communication service providers around the globe. We power more than 30B communication transactions each year with industry-leading quality of service, 24×7 support, and a next-generation IP network that has the highest levels of performance, reliability, scalability and security. Brightlink is based in Atlanta, GA. Visit www.brightlink.com and follow us on Twitter, LinkedIn, and Facebook.